A professional machine for an extremely deep clean! 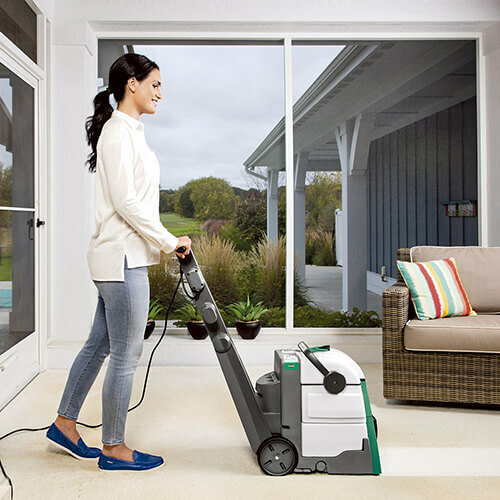 The Bissell Deep Cleaning Machine has a reputation of being one of the best carpet extractors available. If you are looking to have access to a versatile carpet cleaner that you can use to clean your carpet flooring with the option of also providing a thorough cleaning to your car’s interior, then the Bissell Deep Cleaning Machine is a great machine for your needs! 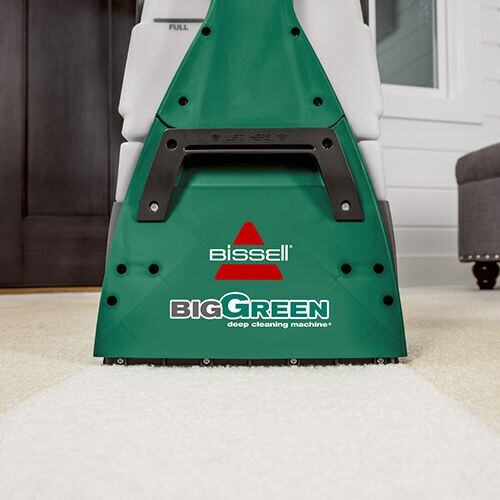 The power brush system at the base of the Bissell Deep Cleaning Machine will quickly loosen and clean the dirt and stains out of your floor carpets quickly and easily! The Bissell Deep Cleaning Machine also cleans in both directions, so you won’t have to do nearly as many passes while cleaning! The optional Hose & Upholstery tool that you can get for the Bissell Deep Cleaning Machine even allows you to get the same deep clean for your furniture and your car’s interior! Carpet and cloth upholstery are widely used materials in the world. As such, you often have them in places other than just your car’s interior. And looking at how quickly your car’s interior can collect and hold onto messes and debris should show you that your carpet flooring and furniture are probably doing the exact same thing! So, having a machine like the Bissell Deep Cleaning Machine that is capable of providing a deep clean to all of your carpet and upholstery surfaces is a HUGE benefit! Carpet and upholstery have long been known as some of the most difficult surfaces to thoroughly clean. Because of the absorbent and tangled nature of the cloth fibers that make up these surfaces, they tend to hold onto debris, dirt, and stains much more stubbornly than any other surface. But, the power brush system of the Bissell Deep Cleaning Machine makes cleaning these difficult surfaces a breeze! These powerful brushes will work deep into your carpets tangled web of fibers and loosen and break up the dirt, debris, stains, and odor causing particles, making them easily removeable by the Bissell Deep Cleaning Machine’s powerful suction! Plus, if you decide to get the Hose & Upholstery tool, this powerful cleaning technology can be extended to the tight and niche areas of your furniture and car interior! Carpet and upholstery have long been known as some of the most difficult surfaces to thoroughly clean. Because of the absorbent and tangled nature of the cloth fibers that make up these surfaces, they tend to hold onto debris, dirt, and stains much more stubbornly than any other surface. But, the power brush system of the Bissell Deep Cleaning Machine makes cleaning these difficult surfaces a breeze! These powerful brushes will work deep into your carpets tangled web of fibers and loosen and break up the dirt, debris, stains, and odor causing particles, making them easily removeable by the Bissell Deep Cleaning Machine’s powerful suction! Plus, if you decide to get the Hose & Upholstery tool, this powerful cleaning technology can be extended to the tight and niche areas of your furniture and car interior! Most Carpet cleaners on the market today are known for being very cumbersome and difficult to use. This is partially due to the size of these machines, but mainly due to the fact that the vast majority of them can only clean in one direction. This means that you have to turn the machine around entirely if you ever have to pass back over a section a second time. The Bissell Deep Cleaning Machine is capable of providing the same deep clean whether it is going forward or backward! So, doing a second pass is as easy as backing it up! This the machine only. It does not come with the optional Hose & Upholstery tool. The Hose & Upholstery tool must be purchased separately. You can purchase the Hose & Upholstery tool at a discounted price of $59.99 when you purchase the Bissell Deep Cleaning Machine, simply select it from the drop-down menu below! Add the Bissell Hose & Upholstery Tool for only $59.99! That's $10 Off the Regular Price! The Bissell Hose & Upholstery Tool was designed to be used with the Bissell Deep Clean Machine. This handy tool will allow you to extend the same intense cleaning power of the full machine to your furniture and car’s interior. The Bissell Hose & Upholstery Tool uses a similar brush system to the full machine, meaning that it has the same ability to work deep into the fibers and break up dirt, stains, and odors. 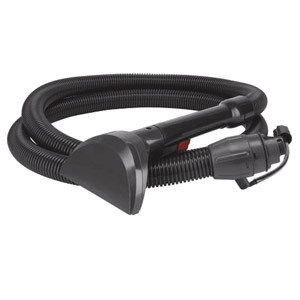 The Bissell Hose & Upholstery Tool has a 10-foot-long flexible hose that will give you more than enough reach to clean every inch of your car’s interior! This is a MUST-HAVE accessory for your Bissell Deep Cleaning Machine. Select the Bissell Hose & Upholstery Tool from the drop-down menu below.